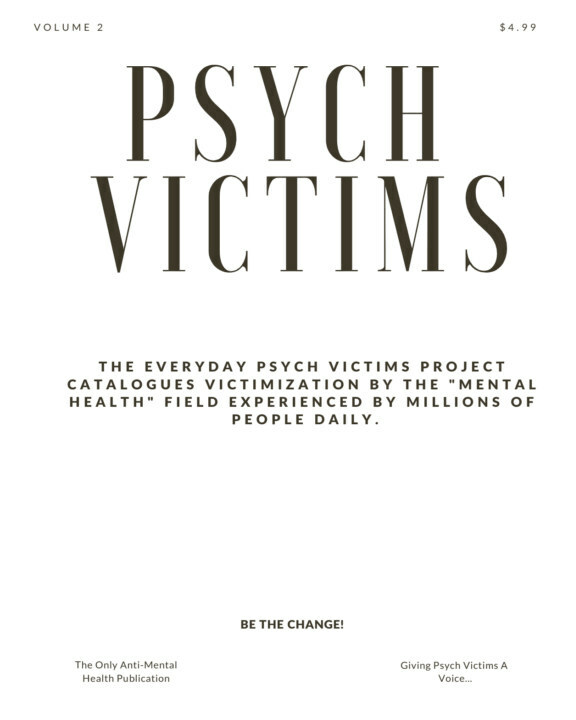 The Everyday Psych Victims Project catalogues victimization by the "mental health" field experienced daily by millions of people. We are a platform for you to share your story, create a lobby, and to highlight the rights violations, discrimination, and harm that "mental health" is founded upon. Natural reactions, not disorders. We give Psych Victims a voice. My vision: To create an avenue for artistic entrepreneurs, allowing them to express themselves freely, without having to deal with any obstructive regulations and standards.